Don't drop your phone because you're trying to hang onto a cumbersome umbrella. Use your head! 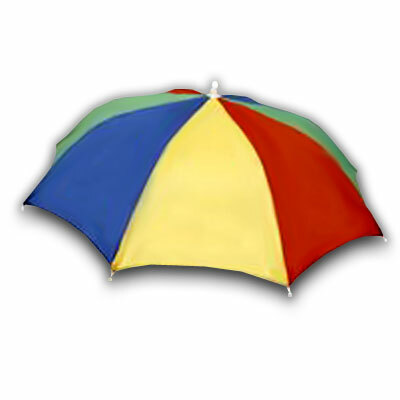 These are new adult-sized rainbow colored umbrella hats. They are made of nylon with an elastic headband. They open to 21 inches. Great item for a costume, also a great gift for that someone who never likes to go out in the rain! When out and about, you’re holding your purse in one hand and chatting with your bestie on your cell phone with the other. You don’t have a free hand to hold onto an umbrella. 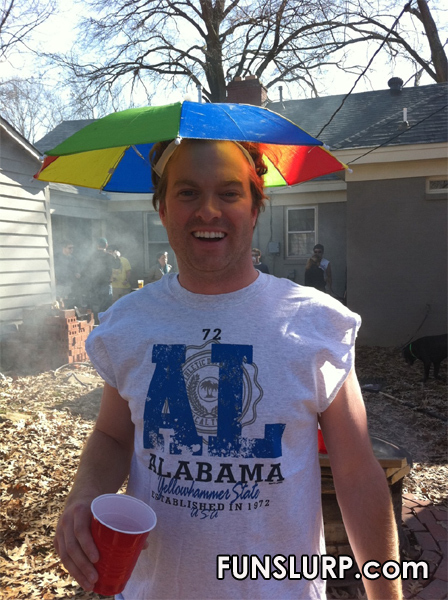 We love the Umbrella Hat because it offers the freedom to not only use all your electronics, but keep them dry as well. True despair is dropping your phone because you’re fiddling with an umbrella. NOOOOOOO!!!!!!!!!!!!!!!!!!!!!! I bought these for my kids' Silly Hat day at school and they were so thrilled. The price is great and they had the best hats in their classes!